The founder and leader of the Heavens Gate Ministry, Nicholas Osei, known as Kumchacha and several other Prophets in the country have stormed the police headquarters in Accra. The men of God, according to Kumchacha are going to the location to sympathise with their colleague Pastor, Bishop Daniel Obinim who has been arrested and sent there for defrauding under false pretence. Bishop Obinim on Tuesday afternoon responded to an invitation by the Domestic Violence and Victims Support Unit (DOVVSU). 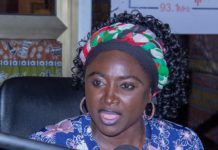 This follows a complaint of assault filed by the Minister of Gender and Social Protection to the Tema DOVVSU after video of Bishop Obinim whipping teenage members of his church for fornicating went viral. Police in Tema gave the ‘Angel of God’ 24 hour ultimatum to honour their invitation or they will be forced to take action against him. An aide to the Bishop responded that the man of God respected the laws of the land and hence would respond to their invitation at the appropriate time. 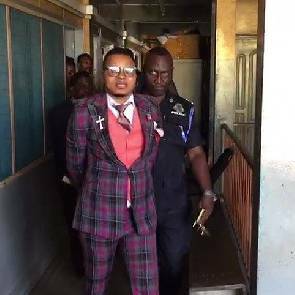 Obinim upon arriving at the Tema Regional Police Headquarters visited the regional commander. He later went into the offices of DOVVSU and had a meeting with them. Later, the man of God and one of his junior Pastors described as an accomplice was ushered out of the meeting in handcuffs. They were then escorted to an awaiting Pick Up and transferred to Accra CID where the case has been transferred. 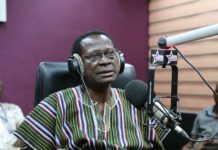 However, Prophet Kumchacha who claims to have the gift of intercession said on Adom FM’s Evening News Tuesday that, he and the other men of God were on their way to the Police Headquarters to sympathise with their colleague pastor who is in trouble. “Kumchacha is known to be someone who has been fighting for and defending men of God in Ghana accused of various wrongdoings…God has given me the gift of intercession and I always intercede for men of God and Christians who go into trouble…we are on our way to the place,” he said. Kumchacha said that he would not go into the merits or otherwise of the flogging.